Add To Your Style With Lenovo Z2 Plus Smartphone | GUI Tricks - In Touch With Tomorrow! Add To Your Style With Lenovo Z2 Plus Smartphone - GUI Tricks - In Touch With Tomorrow! Lenovo Z2 plus is the most recent product of the company and within few days of its launch, huge number of sales have been witnessed. Most common opinions of the experts and users for buying this smartphone are good battery backup, great configuration and amazing camera that you have never experienced in any smartphone of this range. The flaunting features of this smartphone have greatly attracted the customers who have a good sense of buying mobile phones. If you are also planning to buy a new smartphone or replace your existing one, then go ahead and check out the great features offered by Lenovo Z2 plus. This smartphone is a dual sim that includes primary 4G nano sim and secondary 3G nano sim that enables the user to take the advantage of 4G technology. Screen resolution of 1,080 x 1,920 pixels and a pixel density of 441ppi along with 5-inch full HD IPS LCD display together make the powerful and sharp display for this smartphone. If you wish to grab this phone, you can avail the Flipkart offers. Lenovo Z2 plus is powered by a Qualcomm Snapdragon 820 chipset and CPU of Dual quad-core Kryo processors that come in combination with 3GB or 4GB LPDDR4 RAM. A GPU of Adreno 530 makes this phone perfect for handling the powerful graphic that enable great gaming experience to the users. The price of Z2 plus 3GB RAM mobile phone is less as compared to the Z2 plus 4GB phone. Lenovo Z2 plus is Running on Android 6.0.1 Marshmallow OS which is the latest one that keeps this phone atop. Lenovo Z2 plus is available in 32 GB ROM and 64 GB ROM models that makes this phone a good storage device hence the company has not provided option for expandable memory in this phone. Experts have reviewed that Z2 plus is an extremely powerful phone that is multitasking without causing any trouble and quickly responds to each and every touch. - 13-megapixel rear camera with Isocell sensor, LED flash phase detection autofocus, electronic image stabilization, f/2.2 aperture, geo-tagging, panorama and HDR make this smartphone a complete camera phone. This smartphone features a good quality front camera of 8MP and a 2.0f aperture which makes this smartphone adorable for those who love to click and post their selfie on the social media. It can also record the HD videos, up to 120fps in full HD resolution. - It has a fast charging non-removable Li Po 3500mAh battery with the advance sensing technology that cuts off the charging when the phone is charged to prevent the overcharging of the battery. If you have a habit of leaving your phone in the charger for long time, then Lenovo Z2 plus is the right option for you. Home button is also powered with U Touch 2.0 fingerprint sensor which restricts the unauthorized access to the phone. 24-bit/192kHz audio feature makes the audio very clear even if you are in the wide open area. - Google Now Launcher and U-Health app (which is the health app provided by Lenovo to track your data for physical activities and exercises done by you) are also preloaded in this phone. This preloaded launcher can also be changed as per the requirements of the users. 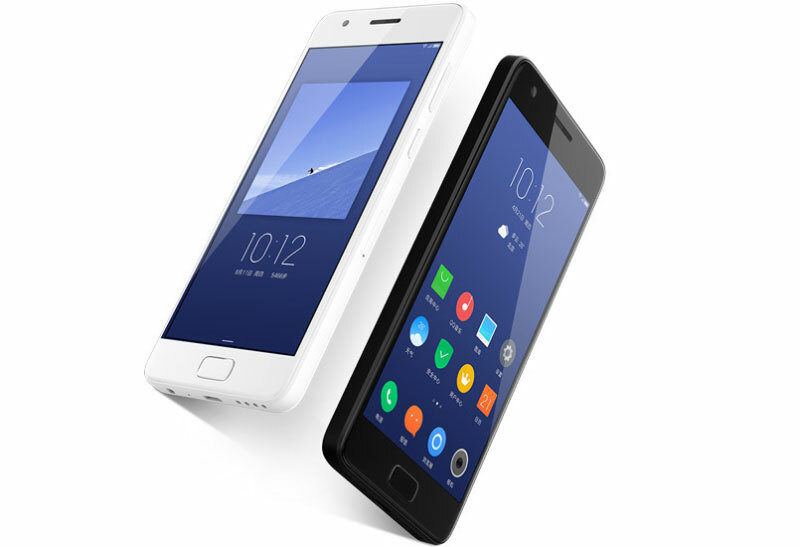 Lenovo Z2 plus is a fully customizable smartphone that can be customized according to the needs of the users. All the connectivity options are offered in this smartphone including GPS, Wi-Fi and Bluetooth. It is available in two popular color that are Titanium Black and Ceramic White that gives it more classy and elegant look.